There is no place on Earth where it is easier to meet people than Rio de Janeiro. The inherent friendliness of the locals, called Cariocas, make it very easy to find new friends. More often then not, you will approached by them instead of the other way around. Locals have enough curiosity about other cultures and talk amicably about almost any topic. The essences of "welcome" the country and the warmth of its people will make you feel very comfortable. The easiest way to meet the locals is by going to the beach. 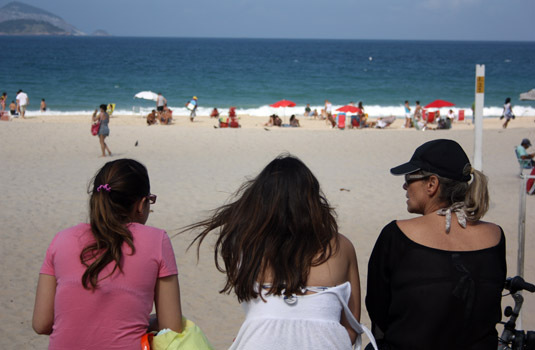 Ipanema, Copacabana, Barra and Leblon to name a few, are all filled with locals on weekends and during holidays. 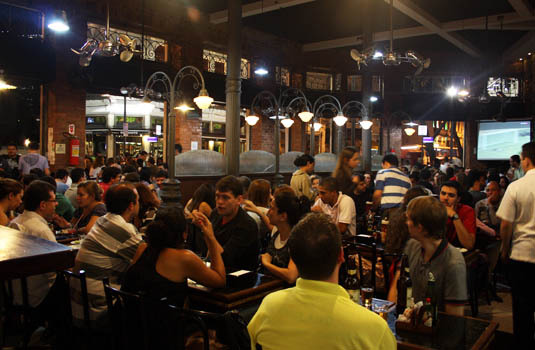 Once you arrive, it will not be long before a curious Carioca starts up a conversation. 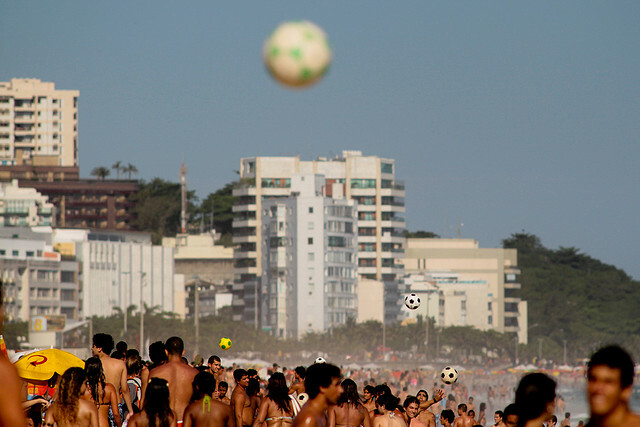 You will also see soccer and foot volley games going on up and down the beach. If you know how to play, ask if you can join in. You will not be turned away. Another great way to meet people is by visiting local bars and nightclubs. Visit one of the botequins. 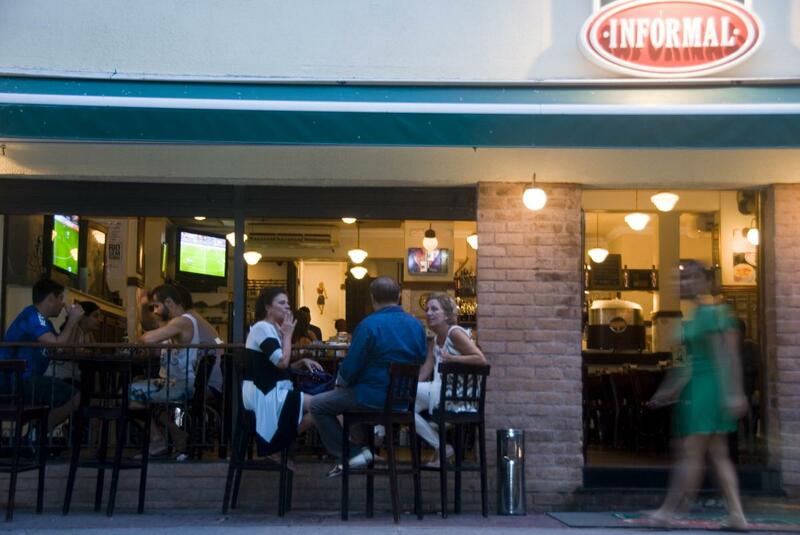 These are small local bars where neighbors gather for a bit of socializing. If you prefer to dance, stop in at one of the gafeiras or dance halls. Here you can listen to all kinds of music from African songs to jazz from the United States. Don’t be shy, ask someone to dance. It will not be long before you have met all of his or her friends and you feel right at home. One of the best ways to meet people from all over the world is to stay at a hostel. With common dormitories, living rooms and kitchens you are bound to make some new friends. Many of these travelers, like yourself, are looking to meet people and you will find them very friendly and receptive to your overtures. Not to mention, it is a good idea to have friends all around the globe. Since you ever travel to their hometown you have a built in tour guide or a free place to stay. There are plenty of other places to meet new people. The local outdoor cafes are usually quite crowded in the mornings and it is very easy to speak with people at adjacent tables. When shopping in stores and boutiques do not be afraid to ask a fellow shopper advice on a potential purchase. On the subway, sharing a cab or visiting one of the attractions, there is always someone new ready with a smile and some friendly conversation.